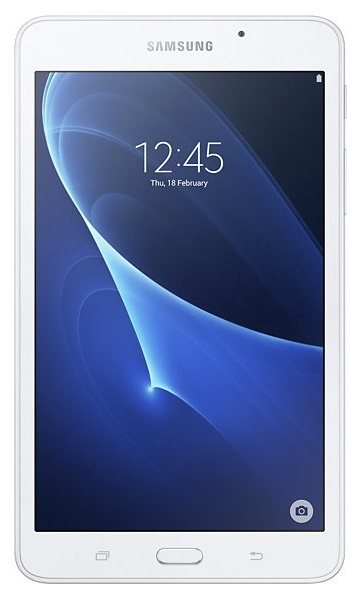 This March 2016, Samsung finally announced the Galaxy Tab A 7.0 (2016), the latest tablet in their Tab A series. 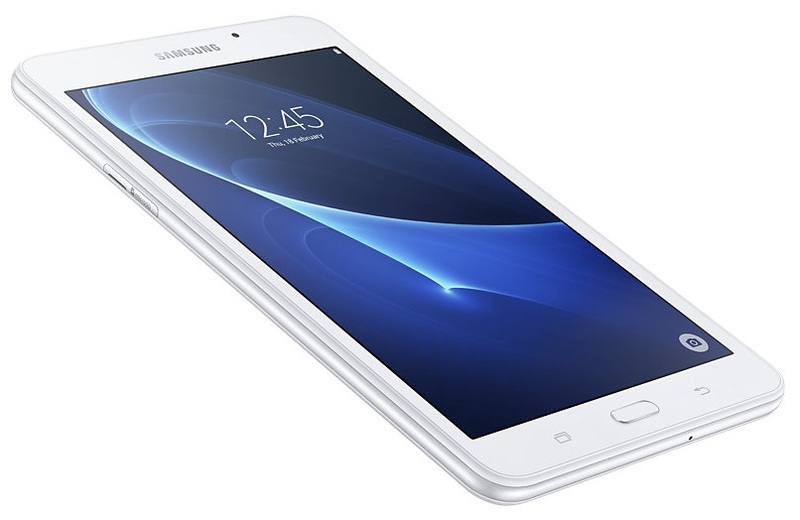 The Tab A series is Samsung’s more affordable mid-range tablets. The earlier Galaxy Tab A series includes the Galaxy Tab A 8.0 and Galaxy Tab A 9.7 which were released last March 2015. What is the advantage of a 7-inch tablet? A 7-inch tablet is more affordable than the larger versions. The size is not too small so you can enjoy a good movie, read e-books, web articles, and novels better than a 5.5-inch smartphone. It is not too large so it is easier to carry with your hands for a longer period. It is usually more portable and lightweight. And because it is lightweight, it is also perfect if you need one for your kids. With that said, let’s take a look at the features of the Galaxy Tab A 7.0 (2016). With a smaller display size, the Galaxy Tab A 7.0 (2016) is much lighter compared to the 8-inch Tab A. It only weighs 283 g compared to the 313 g Galaxy Tab A 8.0. The weight of the Galaxy Tab A is just what you would expect from a 7-inch tablet. Is the lightness really that important for a tablet? I remember when I used to play Temple Run on a 7.9-inch iPad Mini 3, the heaviest iPad mini version at 341 g. The weight is already way below the normal size iPad, but still, it strains my wrist after playing for a longer period. The weight of the tablet has an effect on the level of enjoyment you experienced. This is why newer tablets versions are usually more lightweight compared to the older versions. The sides of the Galaxy Tab A 7.0 (2016) is also noticeably more rounded compared to the Tab A 8.0. This adds more comfort in your grip when using the Tab A 7.0 (2016). The only aspect that I don’t completely like is the thickness which increased to 8.7 mm from the 7.4 mm profile of the Tab A 8.0. The Galaxy Tab A 7.0 (2016) is available in Metallic Black and Pearl White as compared to the Galaxy Tab A 8.0 which comes in unique colors such as Smoky Titanium, the awesome Smoky Blue, and White. The Galaxy Tab A 7.0 (2016) uses IPS LCD technology, which is better than the TFT display technology of the Tab A 8.0. The IPS LCD technology has more viewing angles, brighter, and has less power consumption than TFT technology. An IPS LCD display is not as excellent as Super AMOLED display, but is definitely one of the better display technologies and is even being used by flagship phones of other brands like LG G5. The display resolution also had a boost to an HD display and with a 216 ppi pixel density, there ‘s a 35% increase in sharpness compared to the Tab A 8.0. The main difference in performance is the processing speed. Both the Tab A 7.0 and Tab A 8.0 uses the same chipset, but the Tab A7.0 is .1 GHz faster. 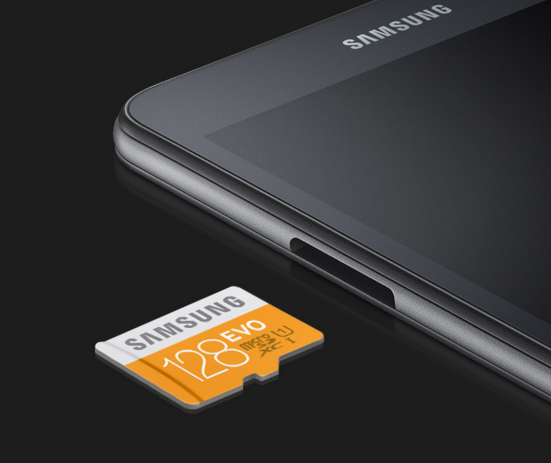 This may not be that much, but the Tab A 7.0 can accommodate a 200 GB microSD card compared to the Tab A 8.0 which can only expand up to 128 GB. The Tab A 7.0 runs on Android 5.1.1. (Lollipop). The CPU with Quad-core 1.3 GHz speed combined with 1.5 GB RAM are decent enough for a mid-range tablet. It can definitely compete with the top tablets under US$200. With its processing power, you will certainly enjoy a good Android experience. The Tab A 7.0 comes only in 8 GB internal storage while the Tab A 8.0 has 16 GB and 32 GB variants. The battery life is not one of its best aspects. The internet time can last up to 11 hours. 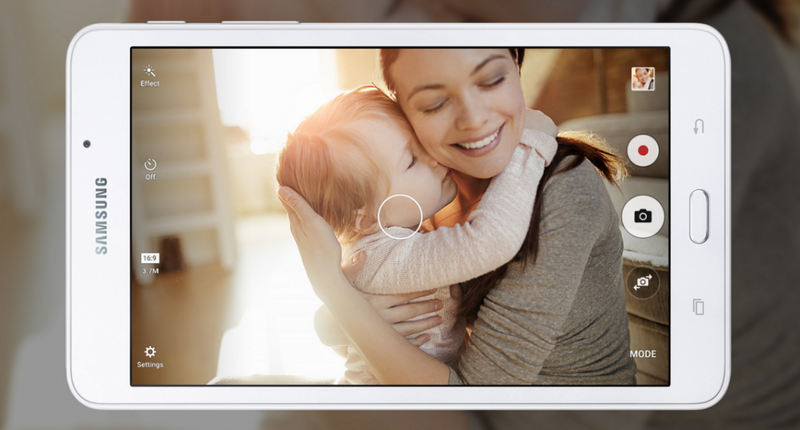 The video playback can only last up to 9 hours compared to the 12 hours of video playback of the Tab A 8.0. This is not too bad since most iPads can last only up to 10 hours of multimedia use. The battery is also non-removable. The Tab A 7.0 (2016) also has a 5MP rear camera with f/2.2 aperture size. The camera has cool features like panorama, touch focus and auto focus, and geo-tagging. It can also record videos with HD resolution (720p). The front camera, on the other hand, has a 2MP resolution with the same aperture size. It also has LTE capability for the LTE version. Both versions have Wi-Fi connectivity (802.11 b,g,n) and can function as a direct hotspot. It can use accessories wirelessly using Bluetooth (v4.0). You can also use it when you want to use map directions and determine locations through GPS with A-GPS technology. It also has an acceleration sensor like the Tab A 8.0. The Galaxy Tab A 7.0 (2016) is a mid-range tablet of Samsung that is very affordable. The smaller profile is perfect if you like a device with a display that is larger than a smartphone but not as large and heavy like the regular tablets. Compared to the Galaxy Tab A 8.0, the Galaxy Tab A 7.0 (2016) has better display quality. It is also slightly better in performance. 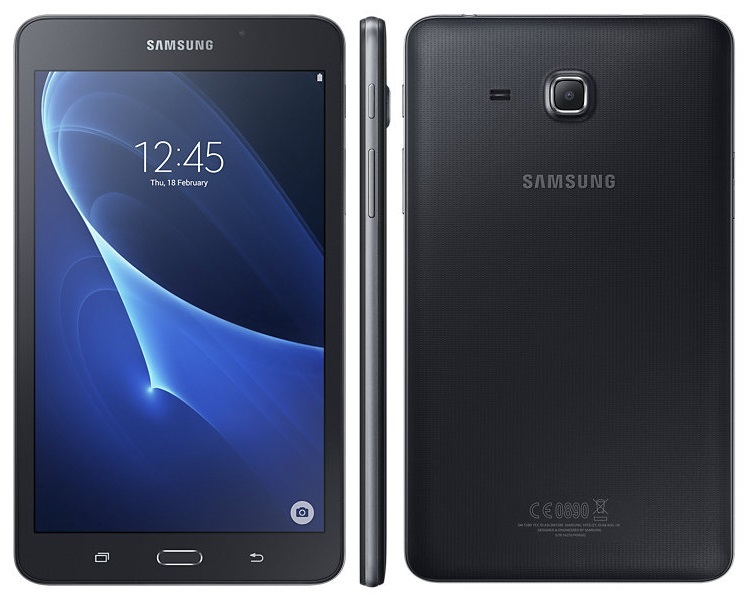 We don’t often see a 7.0-inch tablet from Samsung. Even their high-end and more expensive Galaxy Tab S series (Tab S2 8.0 and Tab S2 9.7) last September 2015 does not have a 7-inch version. But with the release of a 7-inch Tab A, we can also expect a 7-inch Tab S2 within this year. What do you think of this latest Samsung tablet? I would love to hear from you.